After Seattle, Washington state my 2012 USA west coast holiday continued as I caught the Alaska Marine Highway ferry from Bellingham, Washington to Juneau, Alaska. 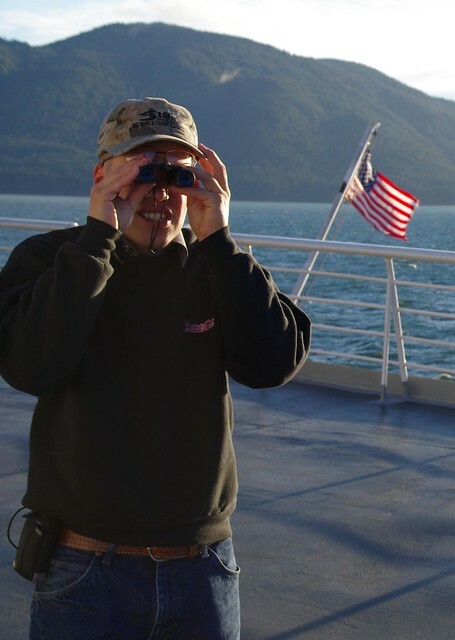 This photo set contains all the highlights of my time on the Alaska Marine Highway and in Alaska. 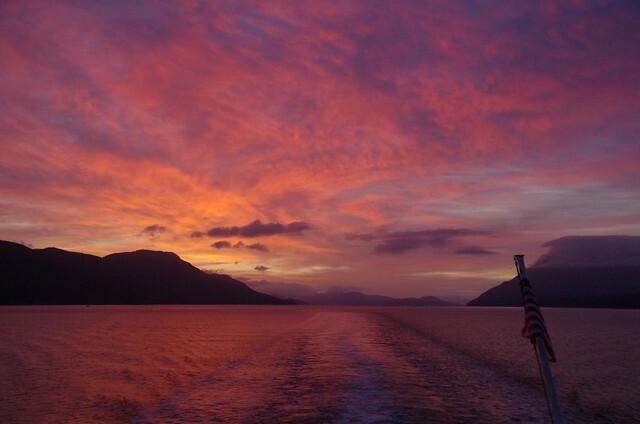 Selected Alaska travel highlights are explained as a travel diary / journal below. 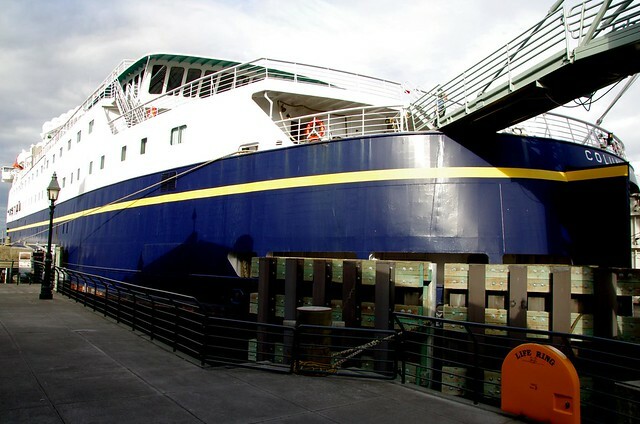 At 6pm Friday I checked in and got onboard the MV Columbia at Bellingham, Washington enroute to Juneau,Alaska via the Alaska Marine Highway. My cabin was right next to the deck exit so handy for seeing what the weather was like to take photos outside. 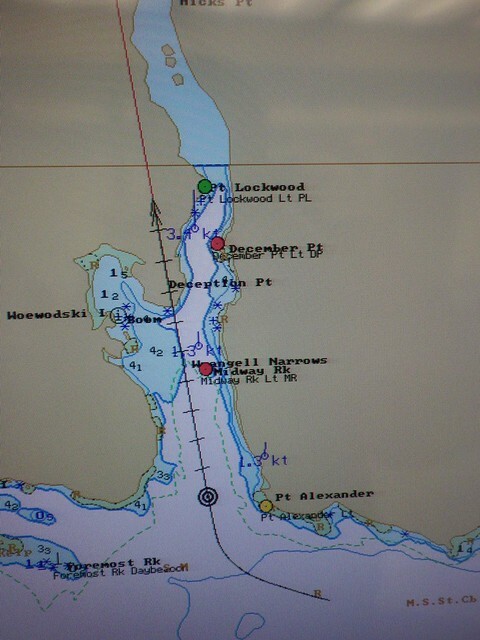 As I stepped onboard I changed all my devices to 5pm Alaska time. 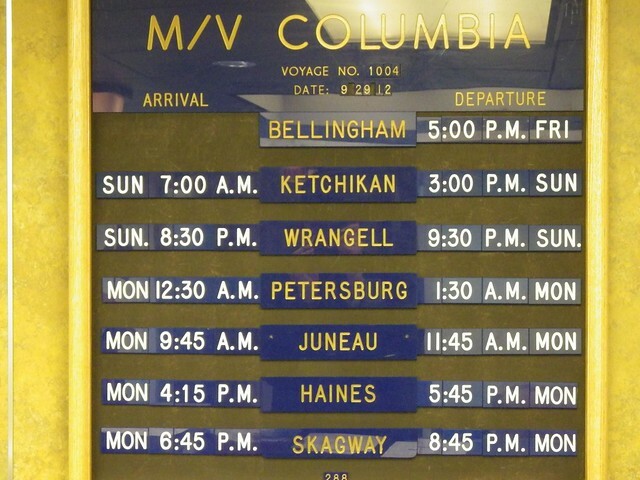 After stashing my luggage in my cabin I waited for the MV Columbia to leave port. As late September is getting close to Winter in Alaska there were only about 125 passengers on board, about a quarter of the usual capacity. I knew that the next day would be clear weather and have good viewing opportunities of the landscape we were passing from standing at the stern of the MV Columbia. So I woke up at 5am (voluntarily! which is very rare for me) and was rewarded with this beautiful sunrise. 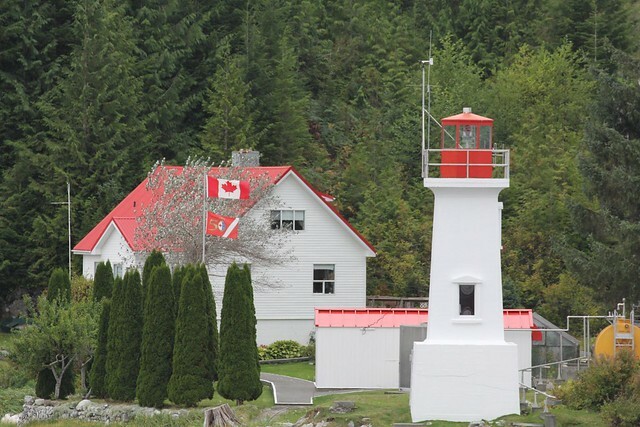 During the 2 and a half day journey the ferry captain navigated the often narrow Inside Passage with great skill, especially when we were often quite close to shore eg: passing through the treacherous Wrangell Narrows at night. 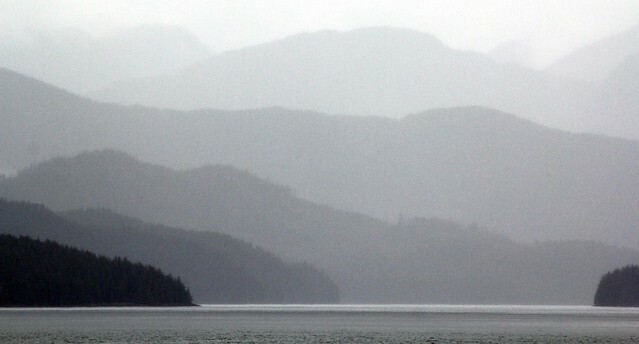 At times when it was overcast the landscape seemed to be painted with an infinite series of pastel shades of grey. 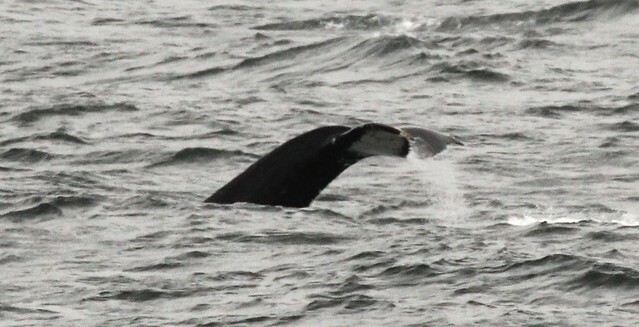 We often saw humpback whales breaching and moving past the MV Columbia. I met and had lots of long conversations with many US Service Men and Women during this trip, as they travelled to new base postings. All of them very friendly, polite and with fascinating stories to tell. Food onboard was OK quality in the cafe and good quality in the restaurant but both were expensive relative to prices in the lower 48 states. I suggest at a minimum that you bring your own snackfood onboard and breakfast. 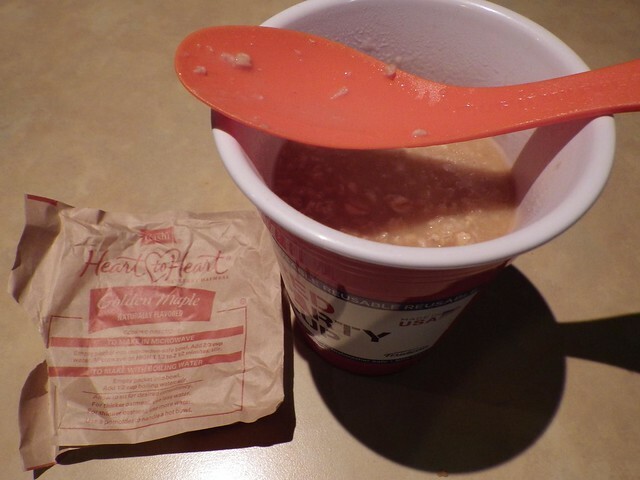 I had a large insulated cup and Spork with which I ate instant oatmeal each morning using the free hot water dispenser in the cafe. When you get off the ferry for the extended stop at Ketchikan there’s a good supermarket called Alaskan and Proud a few hundred metres to the right of the ferry dock where you can restock on snacks and optionally buy some microwavable food to heat/cook in the ferry cafe free microwave. With some sadness I watched the snow capped mountains on the horizon as we approached the Alaska ferry dock near Juneau. From there I caught a taxi into town. Juneau is the state capital of Alaska and this Tlingit local Alaskan tribe story of creation mural was on the side of Juneau City Hall. 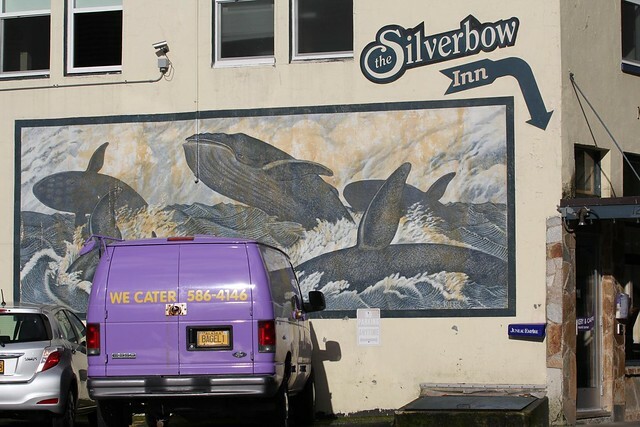 I stayed the night at the Silverbow Inn bed & breakfast in Juneau. While the room rate was a bit expensive staff were very friendly, the breakfast at Silverbow Bakery was delicious and their advice such as catching the town bus to the airport rather than a taxi saved me money so it all balanced out. 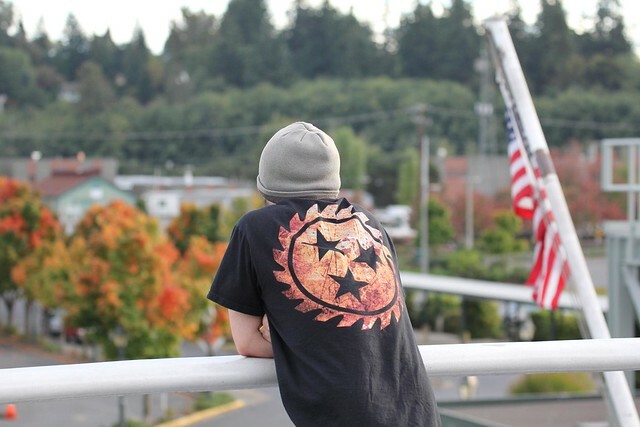 While walking across the town bridge I saw a bald eagle sitting and plucking it’s neck feathers, photographing one as it drifted away on the breeze. 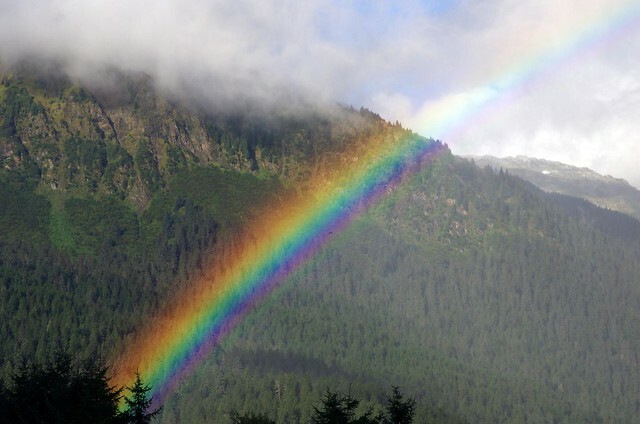 Later on while bird watching I saw a short lived but quite strong rainbow. Flying towards the interior of Alaska I stopped to change planes at Ted Steven’s International Airport in Anchorage. 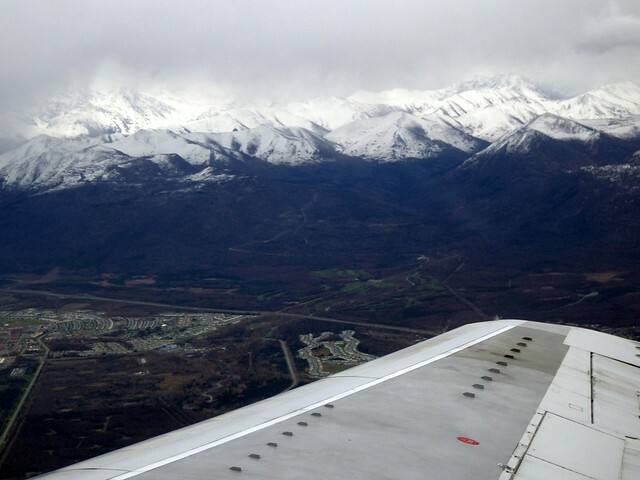 The view below of snow covered mountain ranges is from my Alaska Airlines flight taking off for Fairbanks, Alaska. 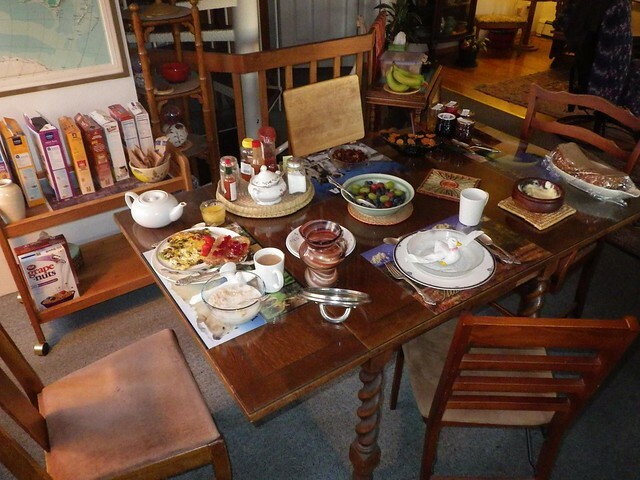 Staying at Ah Rose Marie bed and breakfast was the highlight of my trip to Fairbanks. The owner John was so genuinely friendly with each guest that it felt like visiting an uncle’s place and staying in one of his spare rooms. All the important things were top notch like cleanliness, a huge delicious breakfast and lots of useful travel tips. If I’m ever in Fairbanks again I will definitely return to Ah Rose Marie. 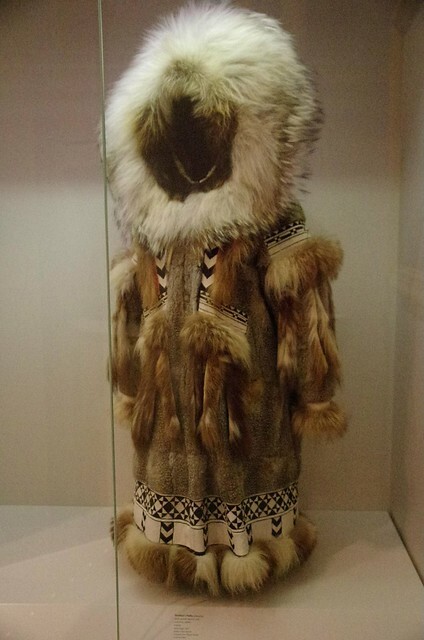 If you want to learn a lot about Alaska and it’s people you should definitely visit the Museum of the North, located at the University of Alaska Fairbanks. 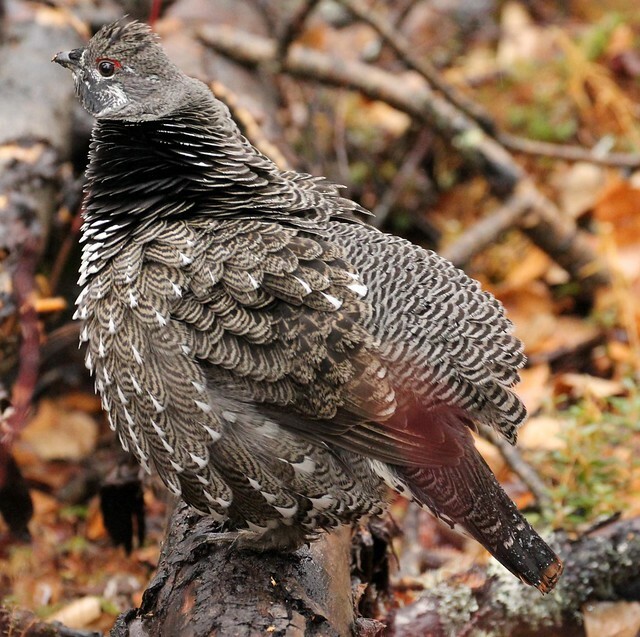 While hiking in the Angel Rocks area of Chena State Recreation Area I saw a Ptarmigan closeup. They are the state bird of Alaska and have unique feathers on their feet which increase the surface area and reduces the pressure their body puts on snow, so they can move quickly. 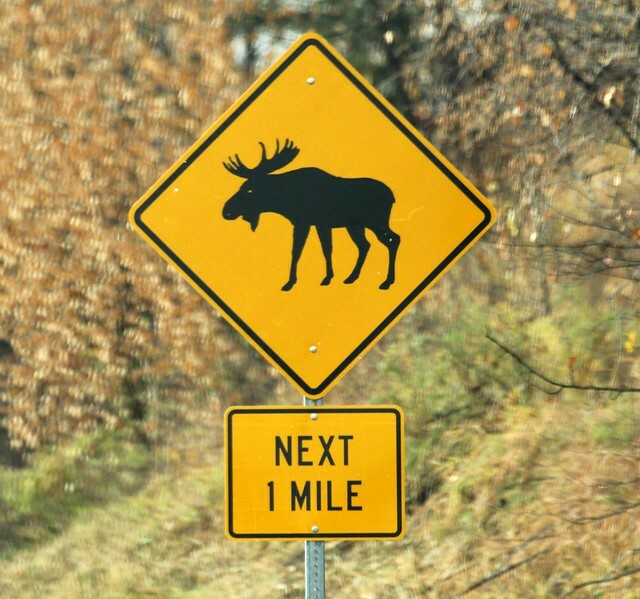 Unfortunately the only time I saw a moose in the wild was a fleeting glimpse as it ran away from the road into thick bush. 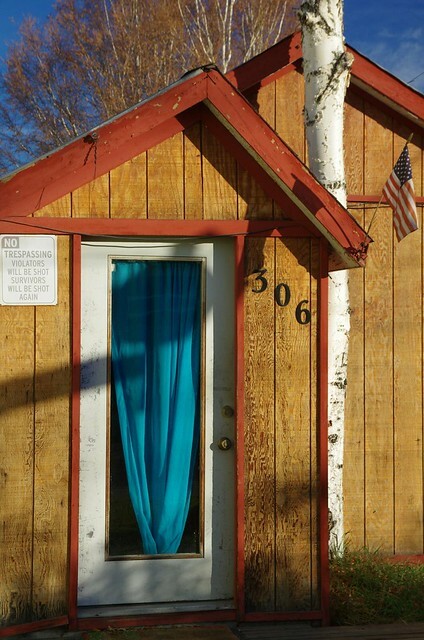 This sign on an Alaskan home says “No Trespassing. Violators will be shot. Survivors will be shot again” I though it as a joke but apparently it’s an old survivalist mantra. Some people take private property very, very seriously. It would certainly succeed in deterring door to door salespeople! 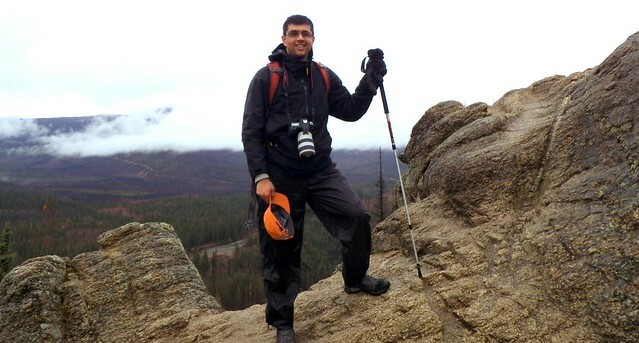 Great report Neerav, very quirky, I like the short paragraphs and lots of photos. And details on food – most important part of travelling ! Hope you’re having fun, looks like it. Amazing trip i must go to there some time thank for sharing!